A couple of weeks ago I had the pleasure of accompanying 2 friends. One called Marten, the other one called Martin. 2 great guys passionate about Owls and bird banding. 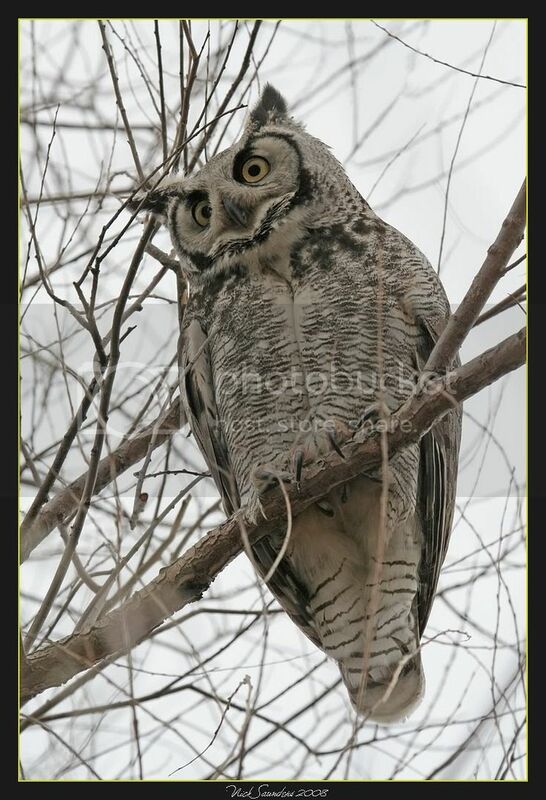 On the first day , Marten, took me and my wife out to see a bird that I have wanted to see in Canada ever since I moved here, The Long-eared Owl. 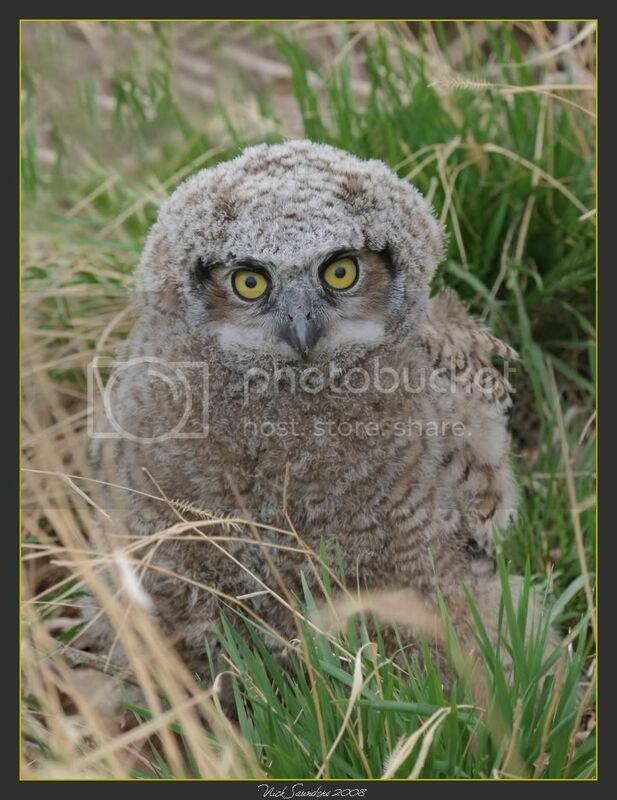 The following day I went out with Martin, and his son Stephane to band Great Horned Owl chicks down south in the region of Kyle. The day was a long one, but great fun. The guys banded young from 10 different nest sites, and made it look easy. The weather was a mix of sunshine and showers and after the day was over, I had another 2 lifers to add to my list. 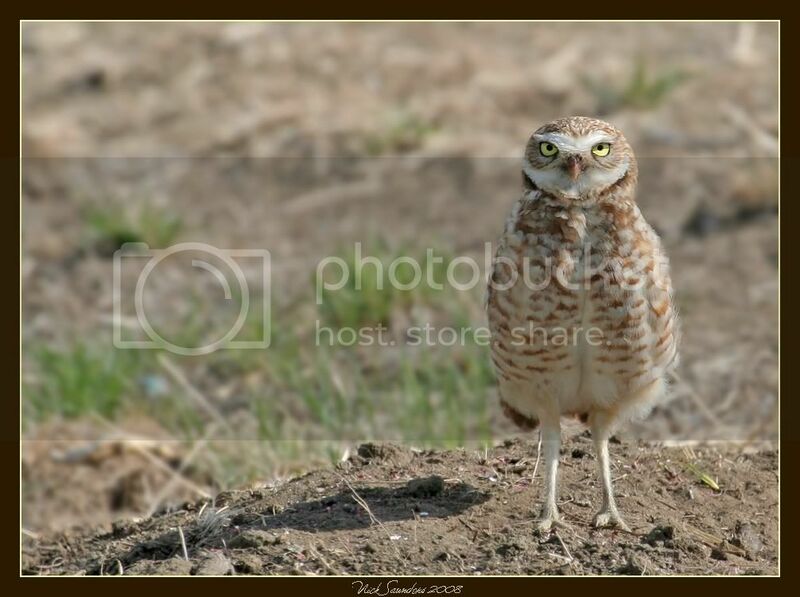 The first, was yet another species I had longed to see , and that was the Burrowing Owl. 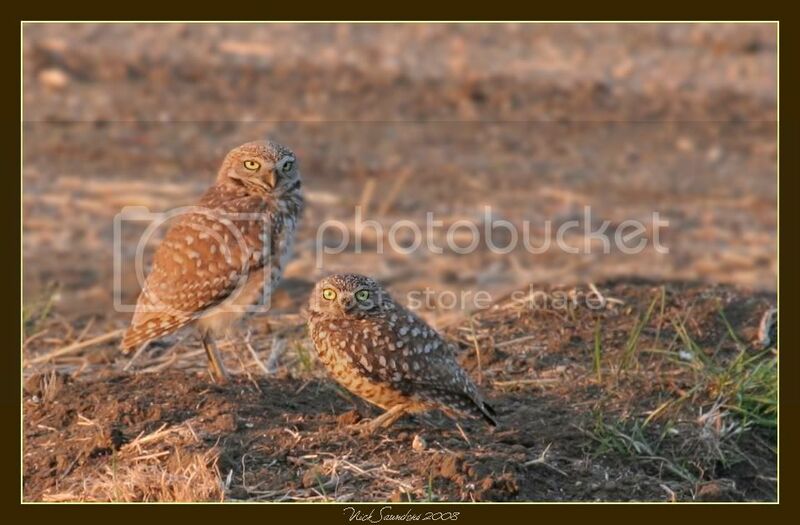 We were lucky enough to see 2 pairs, in 2 burrow sites. I also saw my first couple of Ring-necked Pheasants in Canada, having only ever seen them in Europe before. 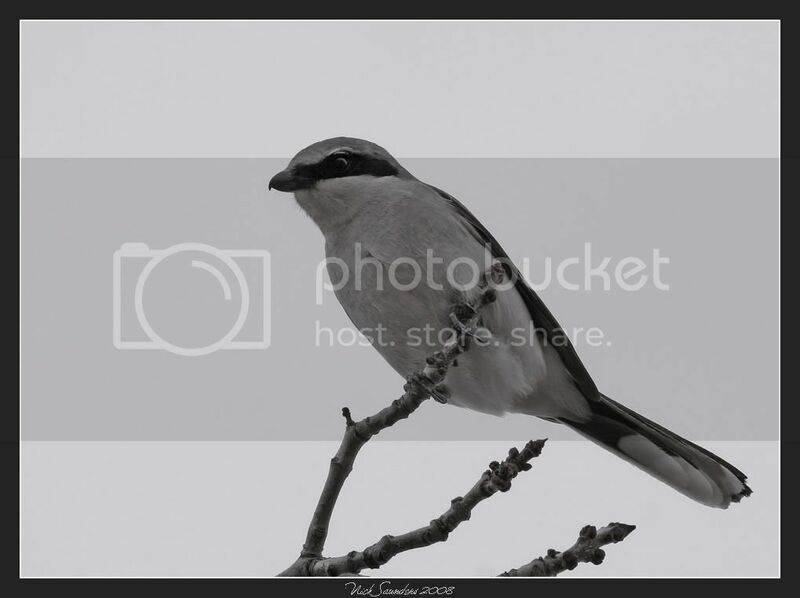 Other highlights were a few pairs of Loggerhead Shrikes . It seemed that almost every shelter belt or Farmstead had a pair nesting there. I also got to see a nesting Golden Eagle. This is what happens when one decides to jump out of the nest ! Luckily they tend to bounce when they hit the ground and are absolutely fine. 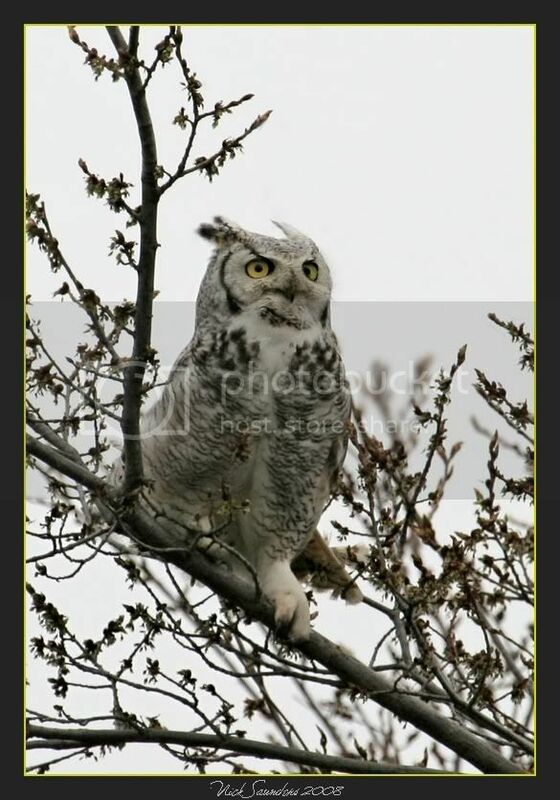 Keeping an eye out for intruders..
Amazing owl images! I love seeing all your amazing photos. Wow Nick! Those are great captures! Excellent! Kudos! Thanks guys :-) It was a great couple of days ! I can't think of anything more exciting! 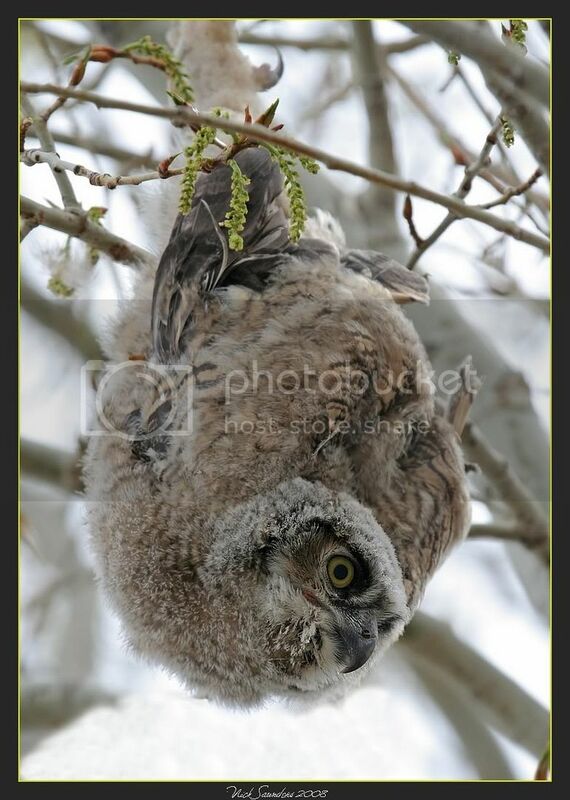 And I really can't believe the owlet takes off out of the nest like that and actually bounces! How cool is that? Amazing and so much fun to look at - thanks for sharing things we can only dream about doing some day! Wow! What a treat! You must have been thrilled with these pictures, Nick! They're wonderful. Glad you enjoyed them :-) thanks for the kind comments as always ! 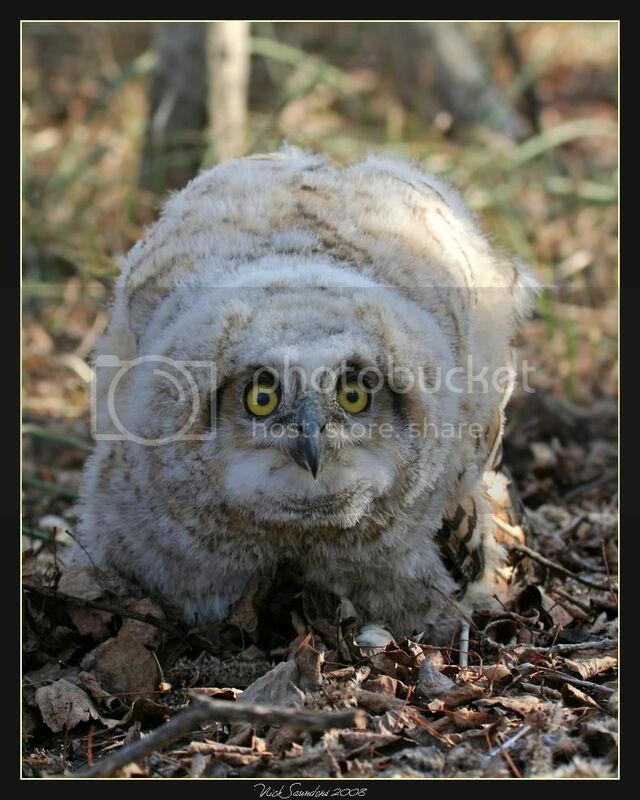 Love the baby owl pics.. what an honor to get to go along while banding.. wonderful.. I got some pics of babies last week..(another one from my list) and I also got a picture of a shrike earlier this spring.. thanks for sharing your great pictures. I'm behind in looking at everyone's blogs as I've been working, but I'll stop by and check out everyone's fine work later. 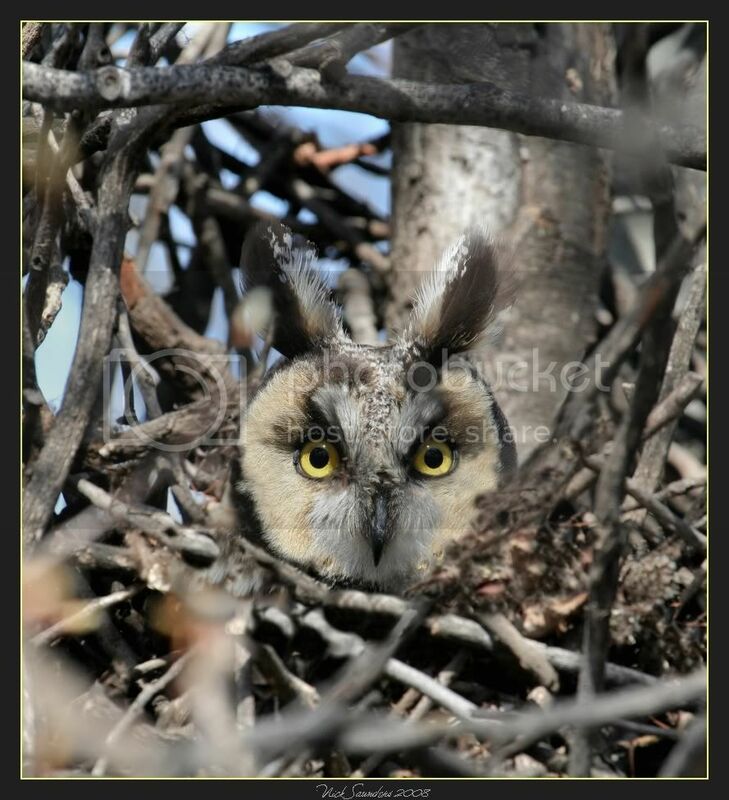 My husband & I "oohed and ahed" over the owl photos - spectacular! 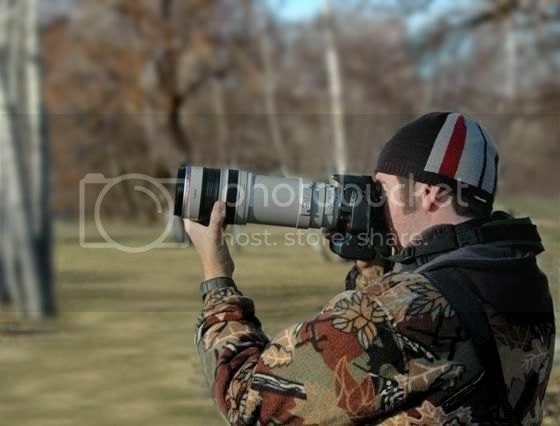 Great photos, sounds like that was a real interesting trip for you, I'd love to do something like that. Amazing! 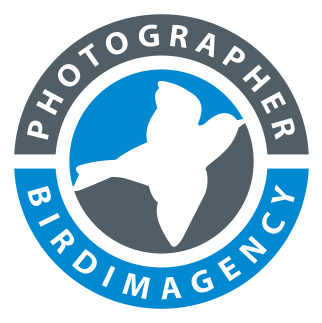 Your photos are all wonderful!